Located on Wheeling Avenue in Cambridge, Ohio. The courthouse comes alive nightly with thousands of pulsating lights synchronized to holiday music. 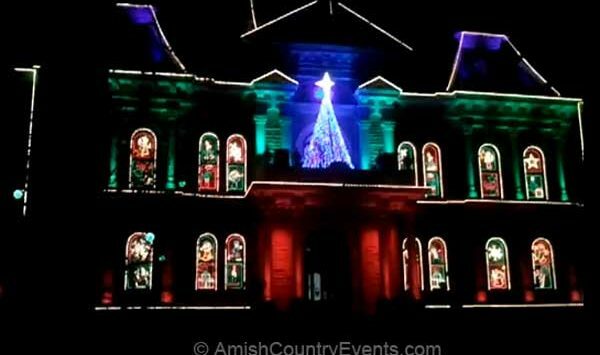 This magnificent 1881 building jumps into the 21st Century as it is bathed in colored lights, 36 animated light displays, and 15,000 lights outlining the building.